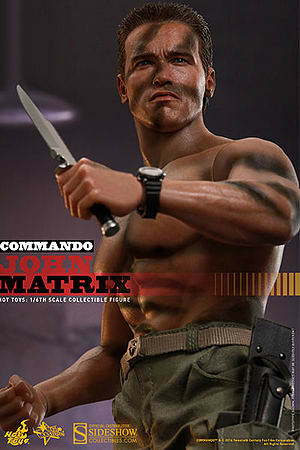 Commando, the film starring Arnold Schwarzenegger, has been a critical and commercial success since it hit theaters back in 1985. 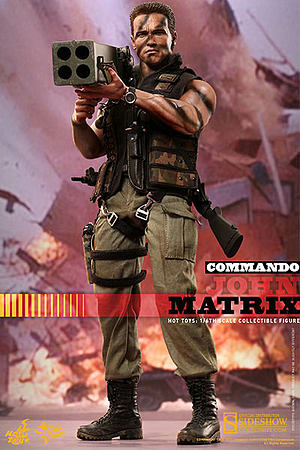 The movie's combination of action and humor made it a cult classic among fans. 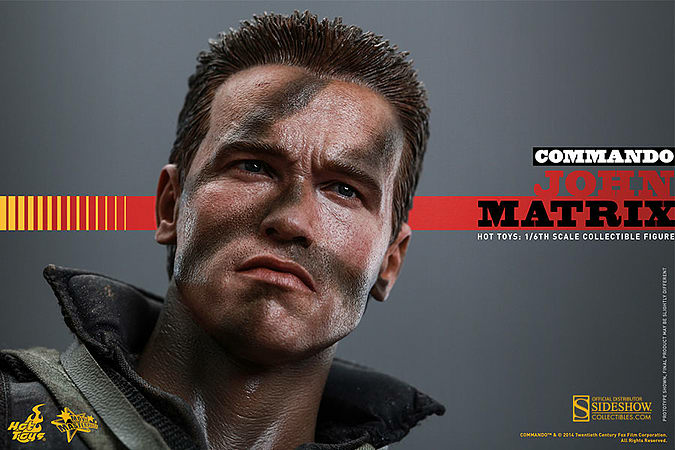 Sideshow Collectibles and Hot Toys are delighted to present the new sixth scale collectible figure of the one-man army - John Matrix! 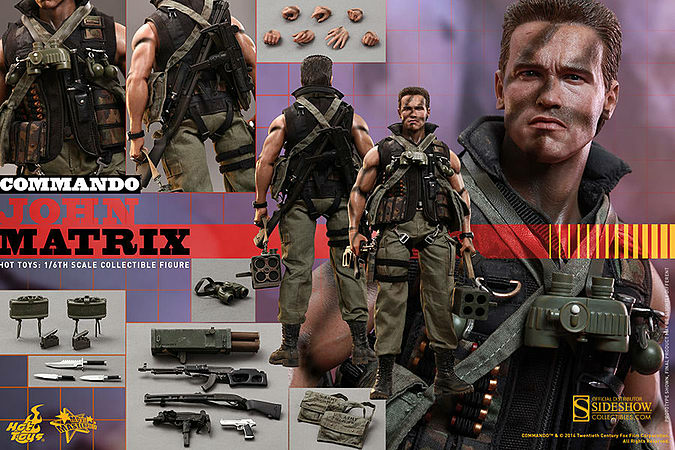 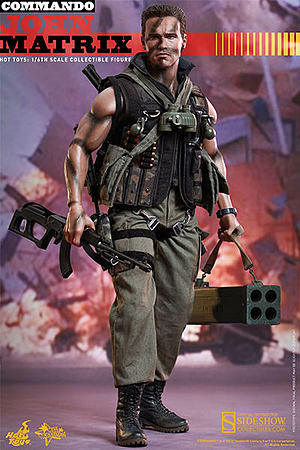 The John Matrix sixth scale figure is specially crafted based on the image of Arnold Schwarzenegger in Commando and features a newly developed head sculpt with war paint as well as a muscular seamless upper body, a specially tailored outfit, and a large array of detailed weapons and accessories.